2 Bdrm Grnd flr Self-contained flat. Hall. Lounge. Dining/Family rm. Kitch. 2 Bdrms. Bathrm (CT band - D). Garden. Price over £169,000 Entry by arr. Viewing contact solicitors. (EPC band - D). Enjoying a desirable location within the City, this stunning TWO BEDROOM SELF-CONTAINED GROUND FLOOR GRANITE APARTMENT which is situated on the corner of Bright Street and Sycamore Place offers versatile and generously proportioned accommodation on one level. Whilst retaining original features such as high ceilings and ceiling cornicing, the property also benefits from modern features such as gas central heating and double glazing. The bright and welcoming Entrance Hallway boasts high ceilings and provides access to the majority of the accommodation. 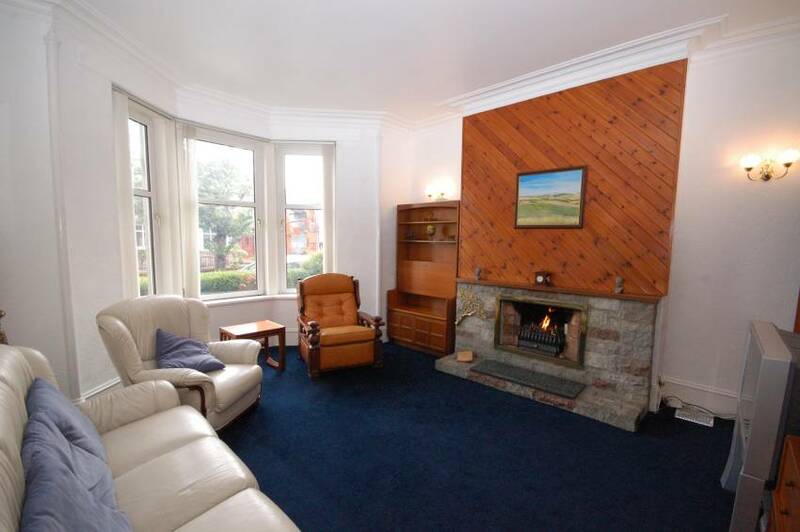 The well-proportioned Lounge is flooded with a good degree of natural light courtesy of the large bay window and is fitted with a gas fire with stone hearth and surround. The Kitchen which provides access to the rear garden (via a glazed UPVC door) is fitted with a range of wall and base units with appliances included, and is located off the Dining/Family Room which could if preferred be transformed into a large family Dining Kitchen, leaving the existing kitchen as a good sized utility area or study. The existing Dining/Family Room has a recess fitted with cupboard doors offering some office space. One of the bedrooms is very well proportioned and benefits from a range of fitted wardrobes which extend across the width of the room including overhead storage and central space for a double bed. 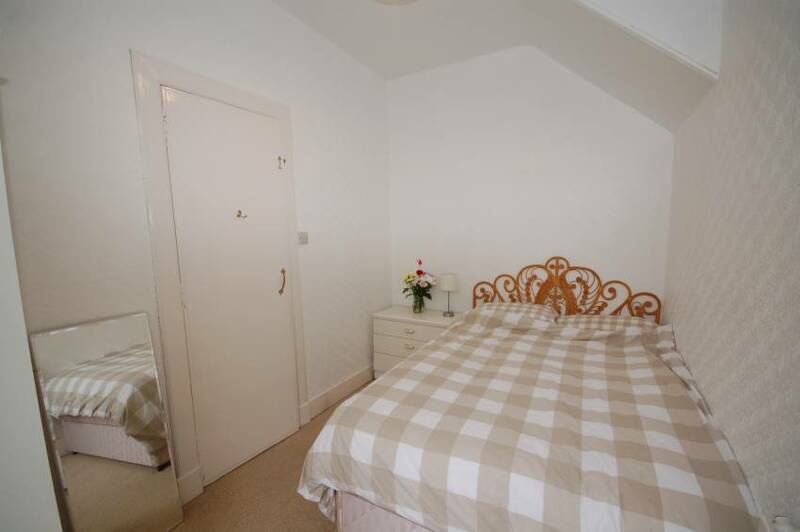 The second bedroom is smaller and is situated adjacent to the existing kitchen. The Bathroom has both a bath and a separate corner shower cubicle. All floor coverings, curtains and blinds, light fittings and white goods are included in the sale price. 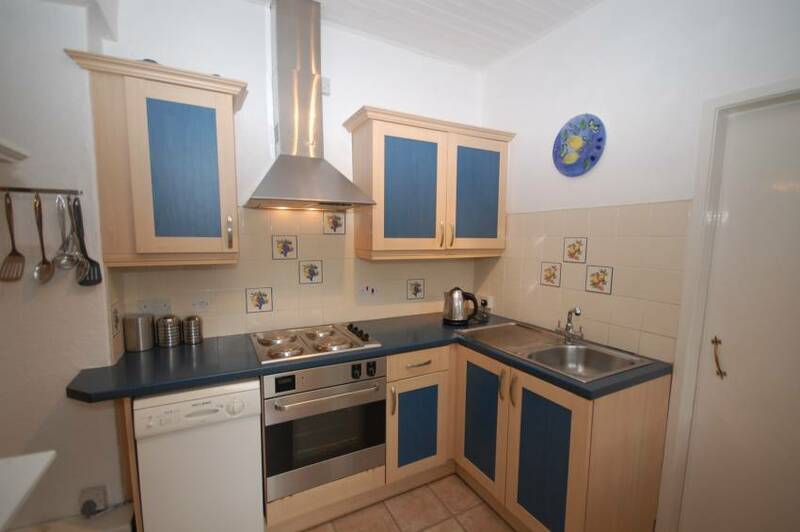 The property benefits from its own exclusive store which is situated next to the back door and usefully houses the gas boiler, washer, drier and fridge freezer, all of which are included. The gardens to the front and rear are shared and stocked with a variety of shrubs. 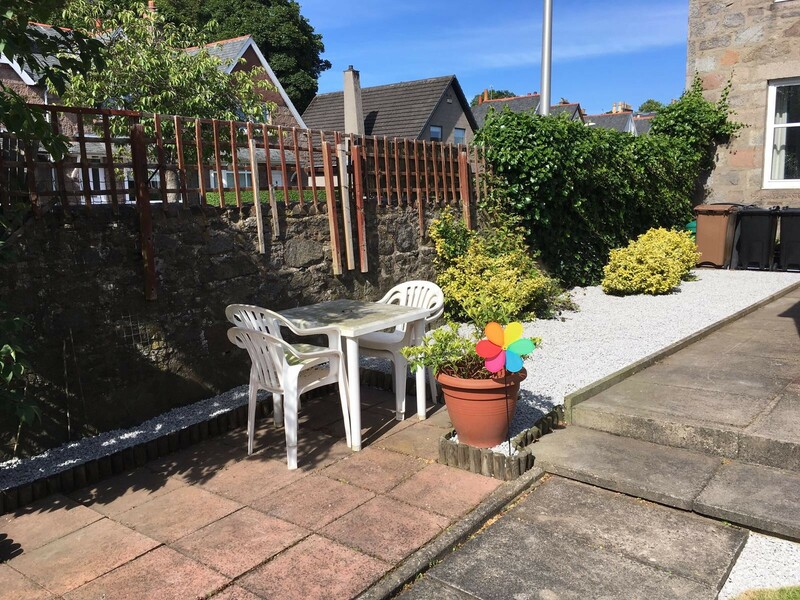 The rear garden area has recently been revamped and incorporates a good sized shaped lawn and a patio. There is ample on street parking available, with no permits currently needed. Entrance Hallway: Bright and welcoming hallway with high ceilings entered via glazed UPVC door; cupboard housing meters further cupboard; ceiling cornicing; access to most accommodation. Lounge (17’8 x 14’1 approx. 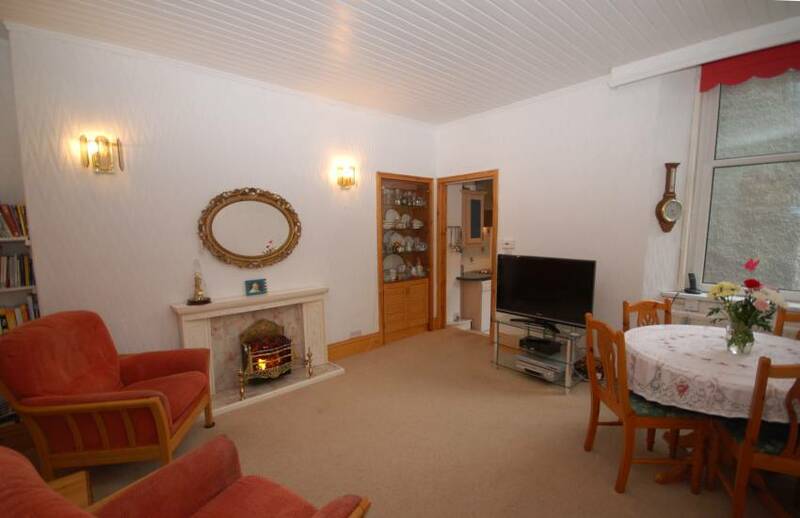 ): Well-proportioned room flooded with natural light courtesy of large bay window; feature gas fire with stone hearth and surround; pine lined chimney wall; wall mounted lights; ceiling cornicing; carpet and radiator. Dining/Family Room (13’11 x 12’2 approx. ): Bright and airy room with window enjoying a pleasant outlook over the garden, adjacent to the Kitchen and meantime used as a living room with electric fire with surround and hearth; carpet; 2 radiators; deep storage cupboard offering ideal “office space”; pine lined ceiling; shelved alcove; fitted cupboard with glass doors offering further storage. Kitchen (11’11 x 7’5 approx. ): Accessed from the Dining/Family Room, fitted with a range of modern wall and base units with co-ordinating worksurfaces with splashback tiling; integrated cooker and 4 ring hob; stainless steel cooker hood; stainless steel sink with drainer; tile effect laminate flooring; glazed UPVC door giving access to garden. Bedroom (12’11 x 9’1 approx. 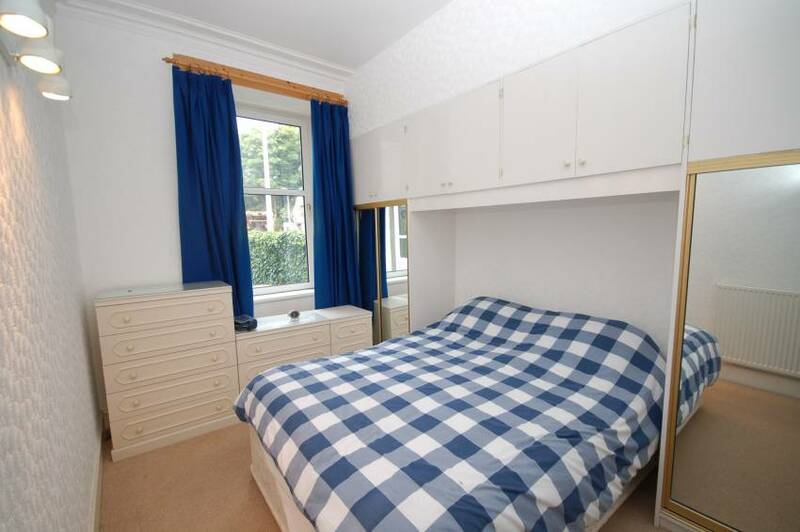 ): Generously sized Double Bedroom fitted with wardrobes which extend across width of room including overhead storage and central space for double bed; radiator; carpet. Bedroom/Office (11’1 x 7’7 approx. ): Additional room accessed via existing Kitchen, offering a useful additional Bedroom or office space with views over the rear garden. 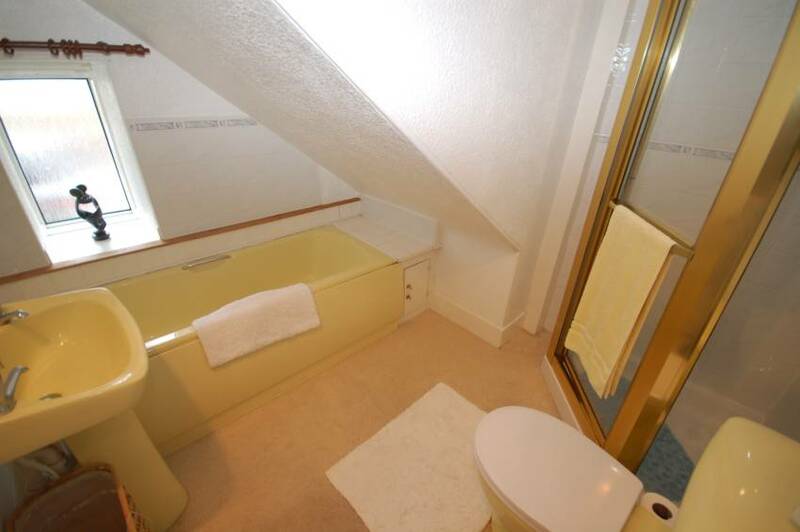 Bathroom: Fitted with three piece suite comprising W.C, wash hand basin and bath; separate corner shower cubicle; splashback tiling; carpet and radiator. 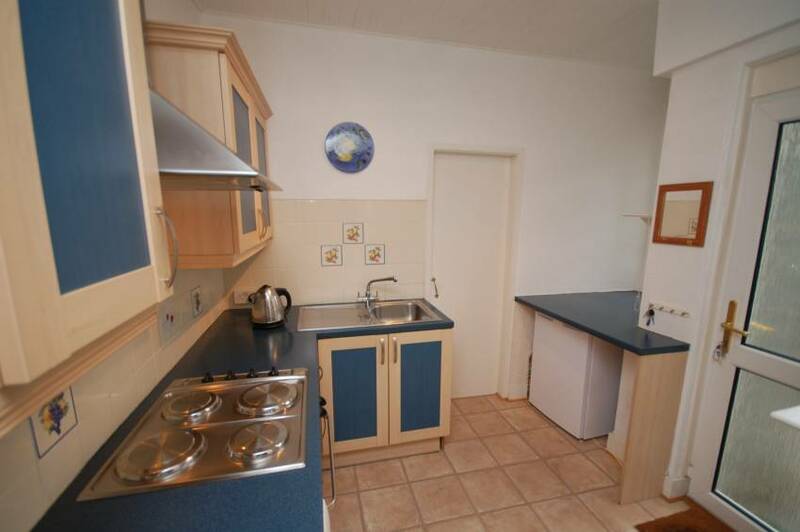 The property benefits from own exclusive large store next to the back door and which usefully houses the gas boiler, washer, drier and fridge freezer, all of which are included. The gardens to the front and rear are shared and stocked with a variety of shrubs. 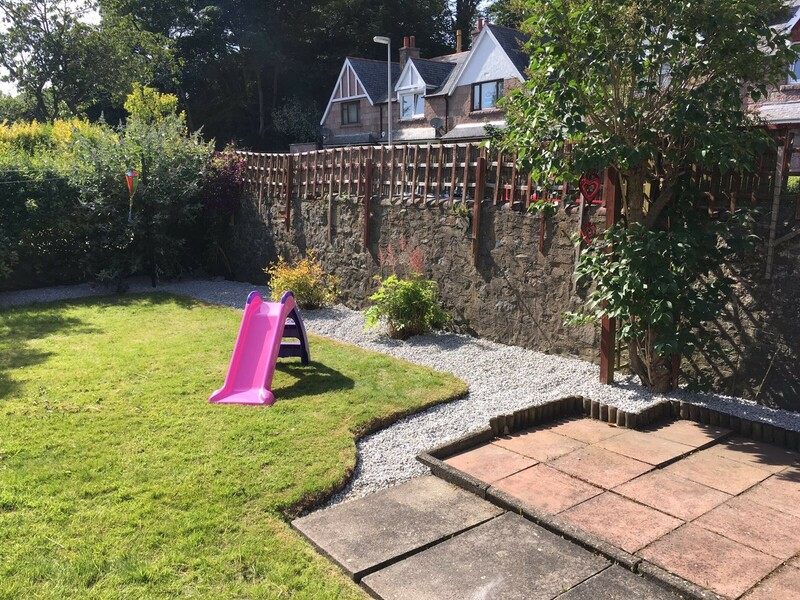 The rear garden area has recently been revamped and incorporates a good sized shaped lawn and a patio with the layout designed for easy maintenance. There is ample on street parking available, with no permits currently needed. Travelling from Holburn Street, continue along Great Southern Road and turn left into Murray Terrace. Continue along Murray Terrace turning left into Bright St, where number 2 can be found on the left hand side and is accessed from Sycamore Place. 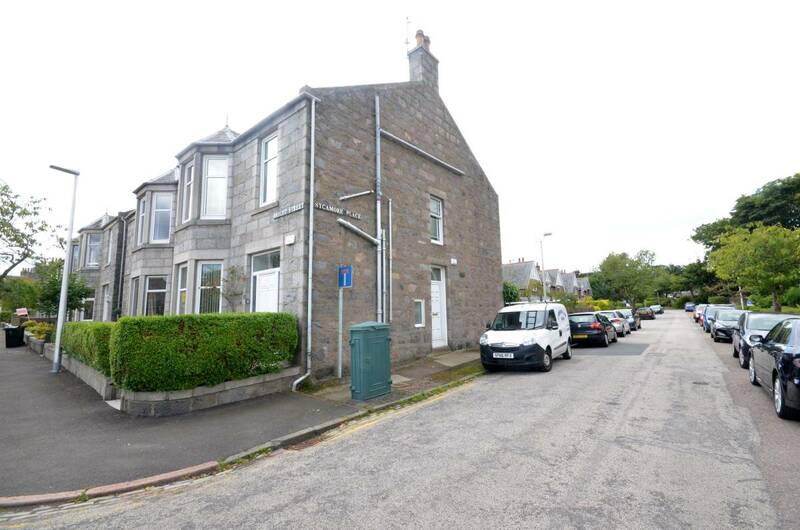 The property is within the popular residential area of Ferryhill and is within easy walking distance of the City Centre, where a variety of amenities can be found. Duthie Park and the award winning Winter Gardens almost round the corner as is the Inn at the Park and various other local amenities including the local primary school and nurseries, a library, a medical centre, a community centre and sports facilities. A regular bus service provides easy access to the city centre and other areas. NOTE Whilst reasonable efforts are made to ensure the accuracy of the information contained in this Schedule, no Guarantees are given, and potential purchasers should fully satisfy themselves as to all information. Please note in particular that some measurements may have been taken with a sonic measure, and all measurements are approximations only.